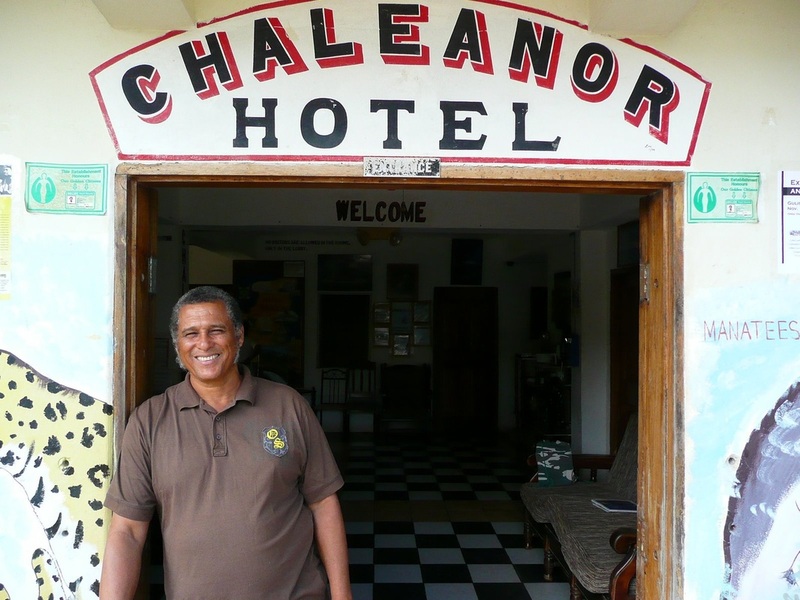 Chaleanor Hotel "Our Belize Vacation" - "Our Belize Vacation"
Chaleanor is the tallest hotel in town, with prime views of the Caribbean Sea located just 2 blocks away. 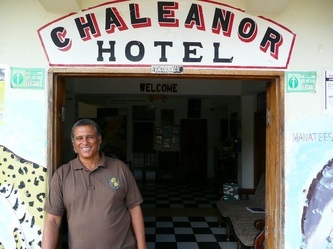 At the Chaleanor Hotel, there are both standard rooms and economy rooms. 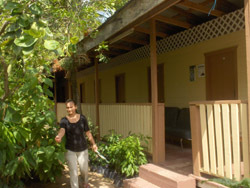 The standard rooms in the main building are sizeable and include TV, air conditioning and hot water. Continental breakfast is served and fresh fruit (usually bananas) is always available for snacking. 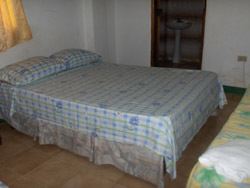 The economy rooms, in a building on the side, are basic room with a bed and shared bath starting at US$ 10/night. 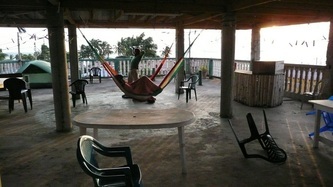 The main lobby area is large and welcoming with a gift shop and display of various artwork. The neighborhood laundry, internet and post office is less than one block away. 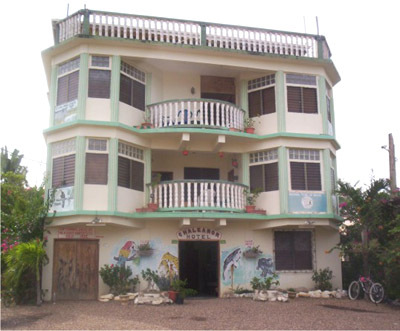 Are located in the three story building, and include air conditioning, television, hot water. Continental breakfast is included. Share bathroom, are basic rooms in a building on the side of the main building.